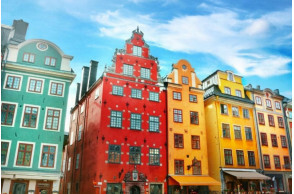 The capital of Denmark, located on the eastern part of the country, Copenhagen is a wonderful city that is filled with vibrant colors and architecture that compliments the culture superbly, one day is never enough to truly embrace this amazing destination. Excursions offer you several ways to journey through this incredible city. 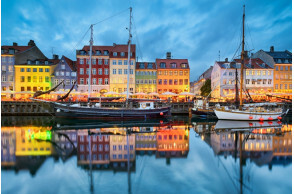 Experience Copenhagen through a tour of its historic castles, an important part of the city's identity and skyline, or tour Copenhagen via its canals on a cruise that travels through the city. Whether you see Copenhagen by walking, cruising, or touring on a Hop-On Hop-Off bus, this city is surely not one to be missed. Today the ship docks at Stockholm (Nynashamn), Sweden. You can explore this port of call by joining the cruise line excursion packages. Nynashamn, which lies about 60 km south of Stockholm, is well known for being one of the places on the Swedish mainland from where ferries to the island Gotland depart. This is a hugely popular destination for Swedes of all ages in the summer months. While interest in the area as a potentially useful port grew from the mid-19th Century, it was only with the opening of the railway to Stockholm in 1901 that Nynashamn started to develop. During the early 20th Century, Nynashamn also became well known as a spa town. 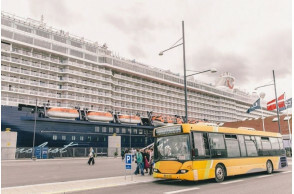 In 2016 Ports of Stockholm began to offer a new quay solution for the cruise traffic at the Port of Nynashamn using a pier known as a Seawalk, a retractable, maneuverable floating pier. Today the ship docks at Helsinki, Finland. You can explore this port of call by joining the cruise line excursion packages. From the beautiful parks that adorn its harbor-side, to its buildings that represent many different architectural styles, it's no wonder why so many people venture to Helsinki. The capital of Finland and the country's largest city, Helsinki will charm you with gorgeous gardens and a unique take on its city's design. 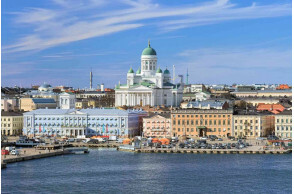 Excite in the exploration and experience of Helsinki, along with the old town allure of nearby Porvoo, a quaint city that serves as the second oldest in all of Finland. Take a leisurely walk along the nostalgic streets of Porvoo for a look into Finland's history, or even tour Helsinki from a alternate perspective on a canal cruise of the city. Today the ship docks at St. Petersburg, Russia. 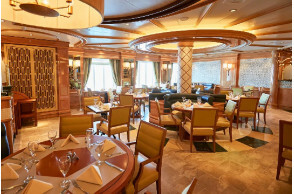 You can explore this port of call by joining the cruise line excursion packages. Experience the highlights of Russia when you travel to the great city of St. Petersburg on one of our St. Petersburg tours. Founded in 1703, the city has developed into one known for its immaculate architecture, historical landmarks and unique culture. The St. Petersburg excursions highlight the deep history embedded in this center of Russian culture. Embark on an excursion adventure through famed Russian historical periods, viewing Catherine the Great's palace in addition to other landmarks associated with Russia's imperial elite. Visit the Hermitage Museum, a world-famous museum showcasing Russian arts and culture, and St. Isaac's Cathedral. With all its imperial glory and elegant fountains, you will delight in the sights of Peterhof, also known as Russia's Versailles. And don't forget Moscow - a must-see! Today the ship docks at Tallinn, Estonia. You can explore this port of call by joining the cruise line excursion packages. Resting on the coast of the Baltic Sea, Estonia's capital of Tallinn is truly a traveler's paradise. Tallinn has become one of the most alluring places to visit because of how little it has changed from centuries ago. From beautiful parks and museums, to stadiums and authentic local eateries, Tallinn will surely live up to all expectations of how a proper European city should look and feel. Venture out to explore this wonderful city in a number of ways with our biking tours, bus tours, or walking tours. Tallinn's medieval influences are easily recognizable in the architecture and art of the city, as is its history that is ingrained with that of Russia. Uncover the importance of these influences while in Tallinn, and journey through the city as you weave in and out of Old Tallinn and New Tallinn. Today the ship docks at Berlin (Warnemunde), Germany. You can explore this port of call by joining the cruise line excursion packages. Berlin, Germany's capital, dates to the 13th century. Reminders of the city's turbulent 20th-century history include its Holocaust memorial and the Berlin Wall's graffitied remains. 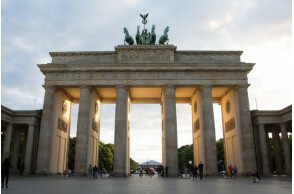 Divided during the Cold War, its 18th-century Brandenburg Gate has become a symbol of reunification. The city's also known for its art scene and modern landmarks like the gold-colored, swoop-roofed Berliner Philharmonie, built in 1963. 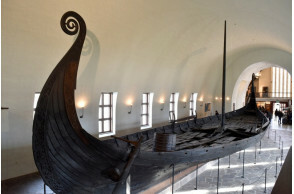 Today the ship docks at Oslo, Norway. 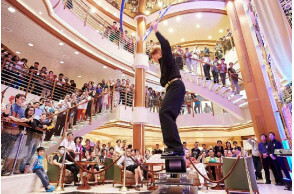 You can explore this port of call by joining the cruise line excursion packages. **If visiting Russia by joining cruise line or UTO vacation excursion, the visiting visa is not required to apply in advance. 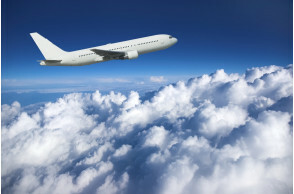 The visiting group visa is included when joining these excursion packages.